And just like that, life is suddenly normal again. The holidays have come and gone. The Christmas decor is all packed away. I’m back to sitting at a desk in a cubicle for 40 hours a week. And, of course, since it’s the first week of January I’m doing what every other resolution-making, gym-membership-buying American is doing this week: I’m detoxing. To be clear, I’m using the term ‘detox’ very loosely. Really, I’m just cutting back on sugar, alcohol, and carbohydrates (and all those other things that taste really good but aren’t actually good for you). Since life has returned to normal, my diet should do the same. It is officially time to say goodbye to holiday treats. As much as I love them, they certainly do not love me: I feel tired, old, and sluggish. So, I’m going back to square one. I’m going to eat simple, whole foods. I’m going to eat fruits, vegetables, and grains. I’m going to be good to my body. There is no formula; this isn’t rocket science. I’m just going to do the best that I can. If you’d like to join me, I’ve compiled a list of a few of my favorite “detox” recipes. These recipes have inspired me to eat better, and they’ve certainly made me feel better. Please do let me know if you have any detox recipes that you’d like to share! I’d love to hear your suggestions. Happy new year, everyone. Here’s to healthy, happy living! POST-HOLIDAY DETOX RECIPES: A FEW OF MY PERSONAL FAVES. Cleansing Ginger Chicken Soup from Bon Apetit: I made a big batch of this broth last week and I LOVE it. For the first few days after Christmas, I simply drank this ginger chicken broth on its own (alongside a simple kale salad). I still had quite a bit of the broth leftover (I made a giant batch), so I roasted some carrots, fennel, parsnips, celery and onions and added that to the broth, along with some leftover cooked chicken. It made for the best chicken and vegetable soup ever. It is full of flavor and nutrients, and it makes my belly really really happy. Coconut Black Eyed Pea Soup from Boulder Locavore: A new year’s tradition (black eyed peas), transformed into an amazing soup. This soup looks rich, yet bright and refreshing (and healthy!). I will be making this soon. Detox Salad from Oh She Glows: I’ve not yet made this salad, but how could I not add a salad called ‘Detox Salad’ to my list of detox foods? This salad contains SO many wonderful things, and I plan on making it sometime this week. Miso Soup from 101 Cookbooks: I’ve made Heidi’s miso soup recipe many, many times. I adore this recipe, as does my stomach. Vegan Caesar Salad: This is my adaptation of 101 Cookbooks Vegan Caesar salad. It’s lighter than a typical Caesar and uses a mix of greens as opposed to iceberg or Romaine lettuce. It’s much healthier than a typical Caesar, and in my opinion – it tastes every bit as good. The secret? Capers. Warm Chickpea & Butternut Squash Salad from Smitten Kitchen: I’ve also made this salad a zillion times. I like to eat it alongside hummus & pita, but it can be served on its own as a meal. The Tahini dressing is the key, as it really marries all the flavors together beautifully. This salad is also great leftover (and eaten warm or cold). Balsamic Roasted Roots with Spinach Sauce from Sprouted Kitchen: I could easily include every recipe from Sprouted Kitchen in my roundup, but this recipe seemed particularly appropriate for the season. Plus, the photos are gorgeous. Curried Quinoa and Apple Salad: What’s not to like about quinoa with apples, curry, coconut milk, golden raisins and almonds? This is such a simple salad, but it’s full of bright and bold flavors. This is also my favorite weekday lunch recipe. Spicy Slaw with Shredded Chicken from The Unexpected Harvest: This is a recipe from my dear friend Mari that I’ve had bookmarked for ages. Somehow, I’ve never gotten around to making it! It is a simple cabbage slaw with a spicy dressing, served with shredded chicken and soft boiled eggs. It looks hearty, without being too heavy. Carrot Soup with Orange and Lemongrass: This might be my favorite soup of all time. It’s spicy and powerful, bold and bright. And, it’s vegan! Vegetarian African Peanut Stew from Big Girls, Small Kitchen: A hearty winter vegetable stew with sweet potatoes, peanuts, edamame, spinach and more. Great round-up! Happy New Year! 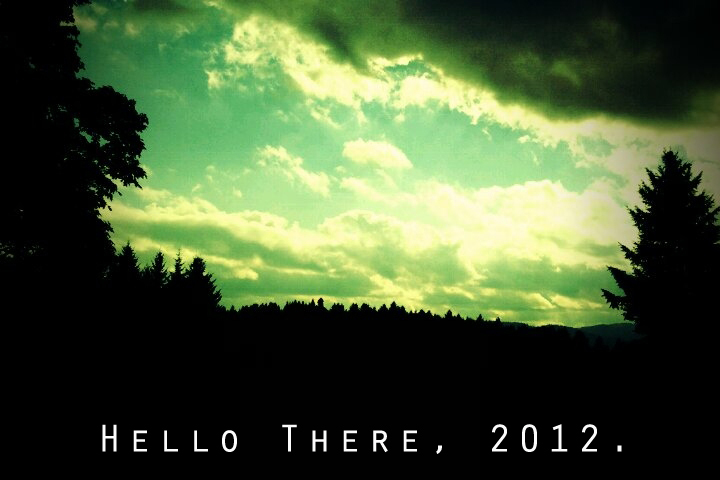 I hope 2012 will be great for you and your loved ones. Thank you so much for posting this, am on the save wave length as you. Will be making the chicken ginger soup tomorrow. Great round up of detox recipes! Happy cleansing!!! so great! i am having a hard time finding good (dinosaur) kale. where do you buy it at? I can usually find it at New Seasons, or the organic section of Fred Meyer (at least, the Fred Meyer by my house usually has it). Yeah, detox! 🙂 I’ll pin some of these recipes, btw. Ah, back to the grind… I wish I was more motivated to detox but these recipes are definitely a good start. Hope you had a lovey New Years! thanks for including me! wonderful list! I am loving the relative quiet of January this year — and detoxing a bit. Thanks for putting together these great recipes and ideas. Happy New Year! This is a fantastic post and one I’d fully expect from you! First, I’m so honored that my Coconut BEP soup is keeping company on your list; thank you! Secondly thanks to my email subscription I was reading your post while out this a.m. and beelined for the store to get ingredients for the first soup. My kitchen now smells of ginger and it is simmering away. This is the food I’m craving right now. Perfect timing from perfect you! Toni! Thank you (as always) for your wonderful and encouraging words. So glad you saw the post at the grocery store and were able to make the chicken soup! I lived on that ginger chicken soup all last week. It’s wonnnnnderful. Happy new year to you, friend! YES! I love the idea of no-processed-whole-grains-more-veggies detoxes. I made a similar resolution myself this New Year’s. This is a great list– I’m totally bookmarking! I made the Balsamic Roasted Veggies with Spinach Sauce for Christmas dinner. It was SO SO good. Especially the spinach sauce. I want to put that sauce on everything. Thanks for the love Linds! You’ve had my slaw before…I made it for my birthday potluck at Nadine’s. Ring a bell? All of these recipes sound delicious!